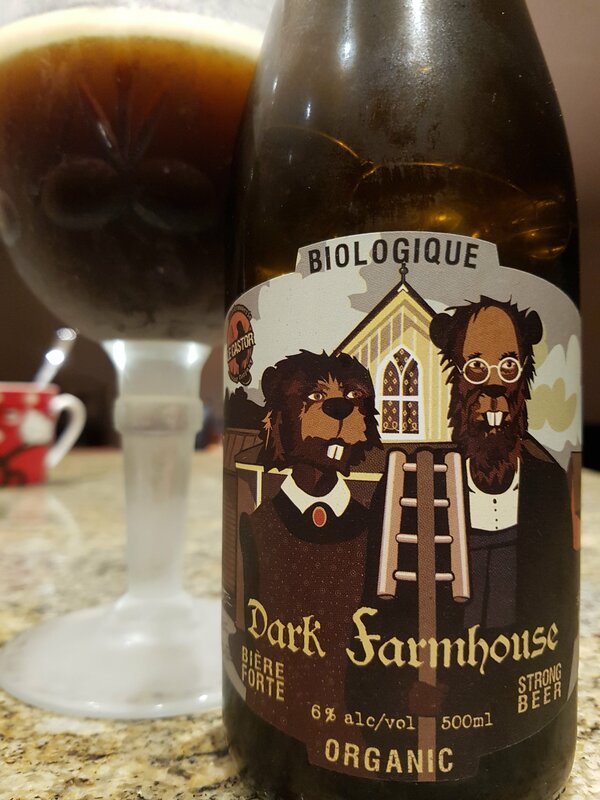 Dark Farmhouse – Microbrasserie Le Castor (Rigaud, QC, Canada) | Justintoxicated. Visual: Pours beer bottle dark brown with a small 1mm super long-lasting foamy head, scattered singular tight steady micro streams. Finish: coriander-mild piney subtle bitter, residual grainy wheat malts. Summary: A really interesting beer combining the light and dark; Bright saison wheatness with the roasted barley – very good transitions and flawless integration. Can’t say I’ll have another but I’m glad I had this one.